Is it actually illegal to burn the American Flag ? Did Betsy Ross honestly make the first American Flag? Do you have to destroy the American Flag when it touches the ground? In this article, we’ll address the five most common myths about the American Flag. False. Burning the American Flag is a type of flag desecration (the act of publically, intentionally destroying, damaging, or mutilating the American flag), but it’s not illegal. For many years, it was illegal to burn or desecrate the American Flag, but on June 11, 1990, the Supreme Court declared that laws against desecrating the flag were unconstitutional. The First Amendment states it’s unconstitutional for a government (whether federal, state, or local) to prohibit the desecration of a flag because it’s seen as “symbolic speech.Typically, when a flag is so worn it is no longer fit to serve as a symbol of our country, it should be destroyed by burning in a dignified manner. Most American Legion Posts regularly conduct a dignified flag burning ceremony, often on Flag Day, June 14th. Today, while tourists enjoy the $5 tour and gift shop at the Betsy Ross House in Philadelphia, many aren’t aware of the lack of historical evidence for the classic story they know so well. The truth is that many regard Betsy Ross’ role in making the first American flag as nothing more than a myth. While some believe that the story behind the Betsy Ross Flag is true, others say that the story didn’t appear until her grandson, William Canby popularized the legend in the late 1800s. False. Congress has only been reciting the pledge of allegiance in the House for 25 years. They only first began doing it sparsely for political reasons, during the Bush–Dukakis presidential campaign in 1988. The pledge was originally written by Colonel George Balch in 1887 and revised by ordained Baptist minister, Francis Bellamy in 1892. On October 21, 1892, Bellamy heard the pledge for the first time during the Columbus Day ceremony when “4,000 high school boys in Boston roared it out together.” Congress formally adopted the pledge in 1942, but it wasn’t until 1995 when Congress started opening its daily session with the pledge. And the Senate has only been reciting it since 1999. An interment flag cannot be flown. False. The American Flag Code does not suggest that the flag should be discarded. In fact, it would be a very honorable tribute to the memory of a deceased veteran and his or her service if the casket flag is proudly displayed. Typically, the burial flag is not suitable for outside display because of its unique size and fabric. It is made of cotton and can easily be damaged by weather. So more often than not, a interment flag is not flown because of practical reasons, not legal. 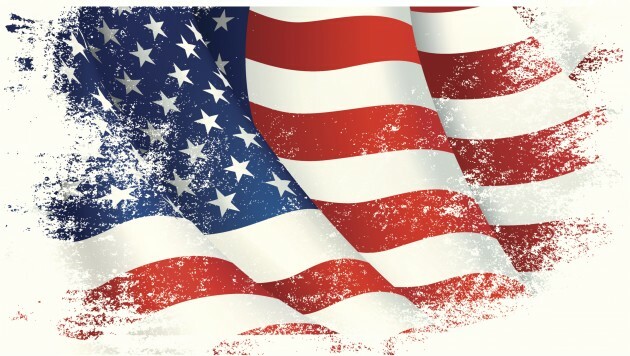 According to the U.S. department of veteran affairs, a United States flag is provided, at no cost, to drape the casket or accompany the urn of a deceased Veteran who served honorably in the U. S. Armed Forces. It is furnished to honor the memory of a Veteran’s military service to his or her country. After the ceremony, the flag is typically given to the next-of-kin, as a keepsake, after its use during the funeral service. For those VA national cemeteries with an Avenue of Flags, families of Veterans buried in these national cemeteries may donate the burial flags of their loved ones to be flown on patriotic holidays. False. The Flag Code states “The flag, when it is in such condition that it is no longer a fitting emblem for display, should be destroyed in a dignified way, preferably by burning.” As long as the flag remains suitable for display, the flag may continue to be displayed as a symbol of our great country. The American Legion dispels the myth in this way: Care should be exercised in the handling of the flag, to protect it from becoming soiled or damaged. However, you are not required to destroy the flag if it touches the ground. As long as the flag remains suitable for display, even if washing or dry-cleaning (which is an acceptable practice) is required, the flag may continue to be displayed. No Replies to "5 COMMON AMERICAN FLAG MYTHS"